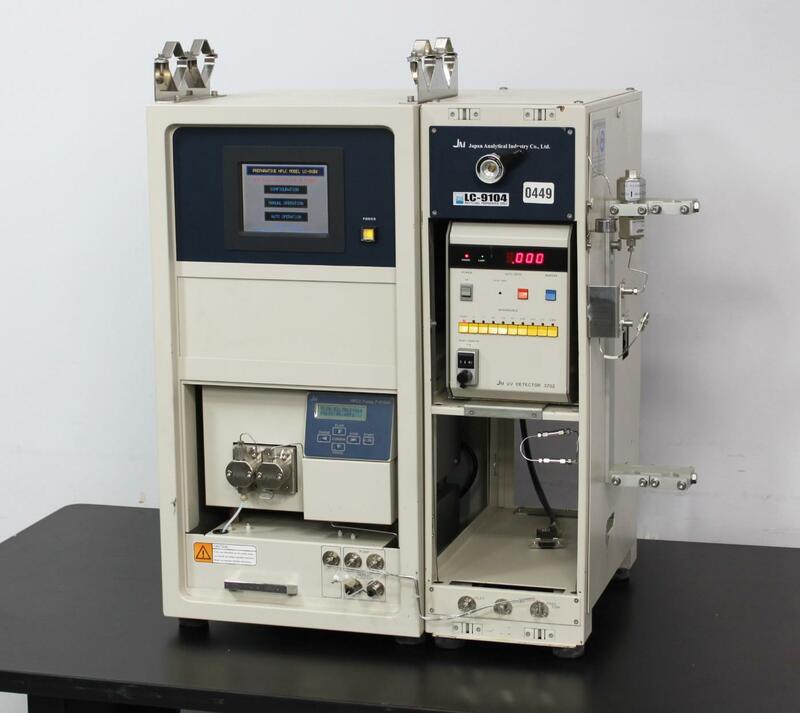 Japan Analytical LC-9104 Recycling Preparative HPLC w/ UV Detector & Pump . New Life Scientific, Inc. Inspected and Initialized. Includes a 90-Day Warranty. the other system components without issue. condition with only minor wear and a few scuffs on the exterior. and the HPLC pump to power on and operate normally. where a module can be installed.